Sometimes you just need to copy text from an image. Maybe you want to grab a phrase from a screenshot, drop-down menu, error message, or pop-up window that doesn’t allow text selections. It could also be a filename, file size, or date modified stored in a file directory. In such cases, if you try to simply copy the text, you’ll notice that it won’t work. Even if all text may seem the same to you, there is a big difference between real text and text embedded in a graphic for your computer. That said, being able to copy text from images will save you the time required to manually transcribe the words into your word processor. Luckily, it only takes a few steps to convert an image to text. There are apps that analyze letters in an image and convert them so that you can easily transfer and edit the text on your Mac. Here’s how the process goes. There are a few ways you can copy the text you are after. Obviously, trying well-known shortcuts like Command + C and Command + V should be your first options, just for the speed and ease of it. But if they didn’t work — read on. Although PDFs are commonplace on our computers, it’s still hard to edit them. It can even be difficult for your computer to recognize text in a scanned PDF to copy it. For this, you’d most likely need to use OCR software. If you want to make a scanned PDF searchable, you can start by trying to use what you already have in macOS and then graduate to professional OCR software, such as Prizmo and PDF Search, for more flexibility. 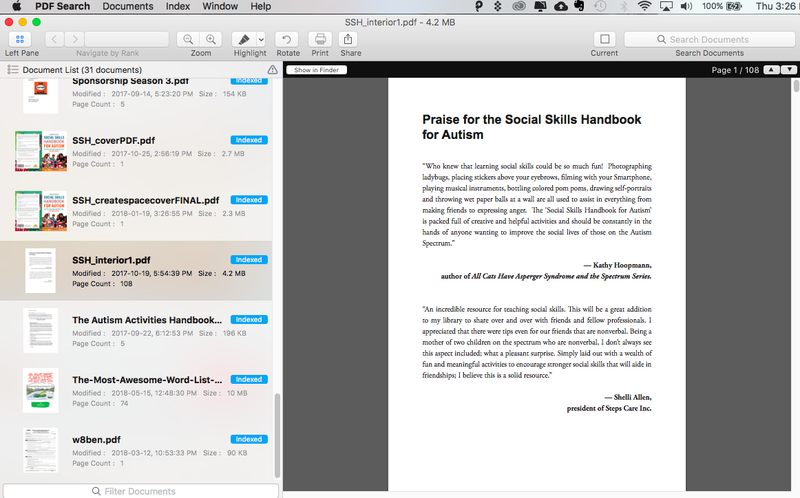 Preview is the most common tool to read and manage PDFs on Mac. And the good news is, a lot of PDFs are scannable by default, so you can just open them in Preview and copy-paste everything you need. A small tip for boosting your copy-pasting productivity is using a clipboard manager like Paste, which remembers everything you’ve copied before and frees you from one of macOS’s most terrible limitations — the single copy-paste feature. If, however, your PDF file is a scanned or image-based document, you won’t be able to make changes to the file, as Preview doesn’t have an OCR feature (use Prizmo for that). In this case, you could use the native TextEdit app to extract the text you need. Open the PDF file. While the Preview app is the default PDF viewer on the Mac, you can also use other PDF viewing applications, such as Adobe Acrobat. Paste the contents of the PDF by clicking Edit and Paste from the menu or pressing on Command + V. As the TextEdit is in Plain Text Mode, you’ll only see the text that you’ve pasted and none of the images or formatting from the original PDF. Alternatively, you might just need to find a piece of text in a large PDF document. In some cases, a simple Command + F lookup could do wonders, but if the PDF was sourced from images, your only way is to go with some professional software like PDF Search. PDF Search is an app that will allow you to scan through hundreds of PDF pages to find exactly what you’re looking for with lightning-fast results. PDF Search does more than find matches for your search terms: it also looks for multiple combinations and checks for related terms. If you need a powerful tool that will let you see whether a word appears in a heading, subheading, or body paragraph, PDF Search will allow you to find the most relevant results. You’ll also be able to convert office documents to PDF. Being able to quickly grab text from an image or PDF and edit, save, or make any other changes to it can make a big difference for your word processing productivity. OCR apps make it possible to recognize text embedded within a graphic and turn it into a text file you can edit so that you can easily convert an image to text or make a scanned PDF searchable. Best of all, both OCR and PDF scanning apps mentioned in this article are available for a free 7-day trial with Setapp. You can now stop typing and convert that text in seconds, saving hours.